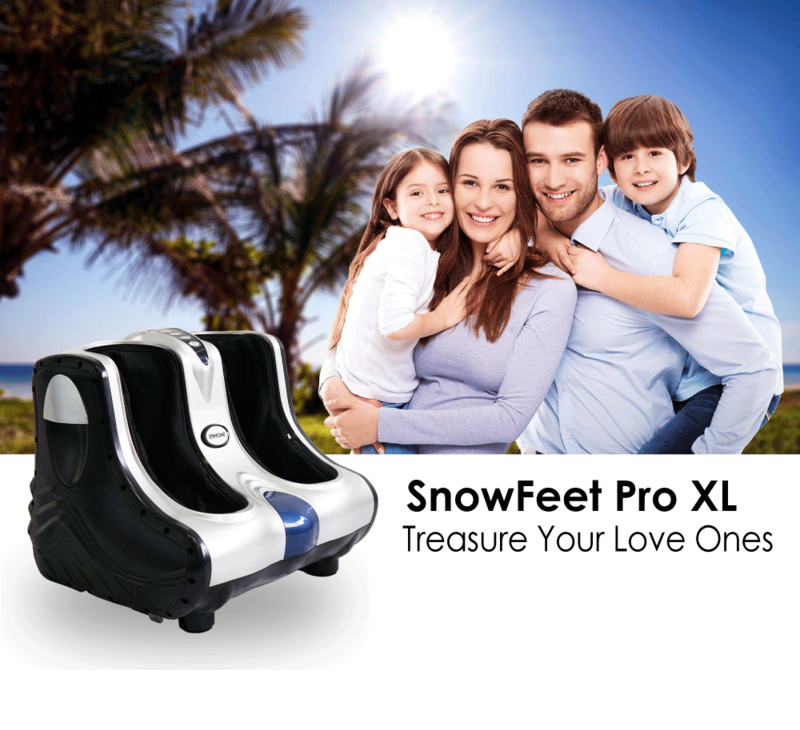 SnowFit SnowFeet Pro XL can do stereoscopic massage to your foot ancle & calf. 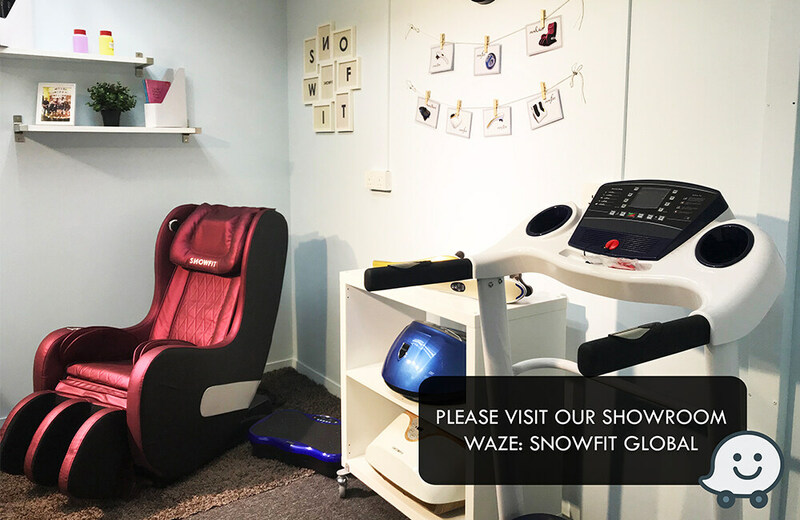 The flexible massage parts will bring a comfortable & professional massage enjoyment to you. 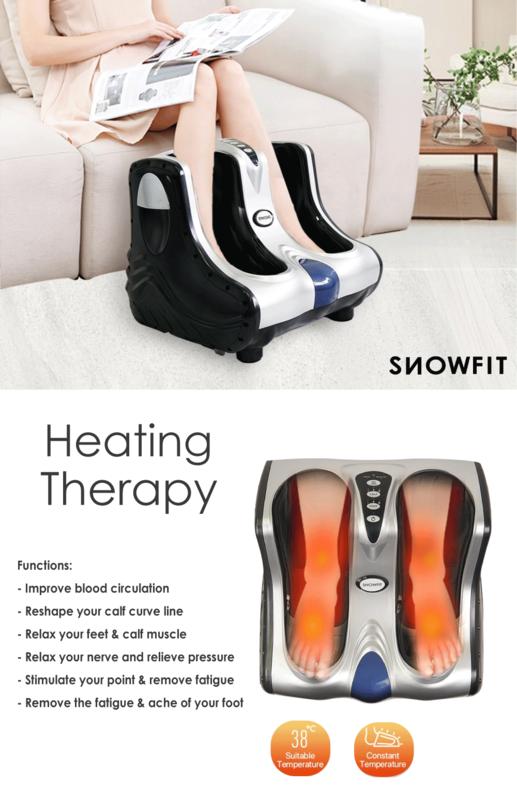 Strong pressing massage will relax your feet muslce. 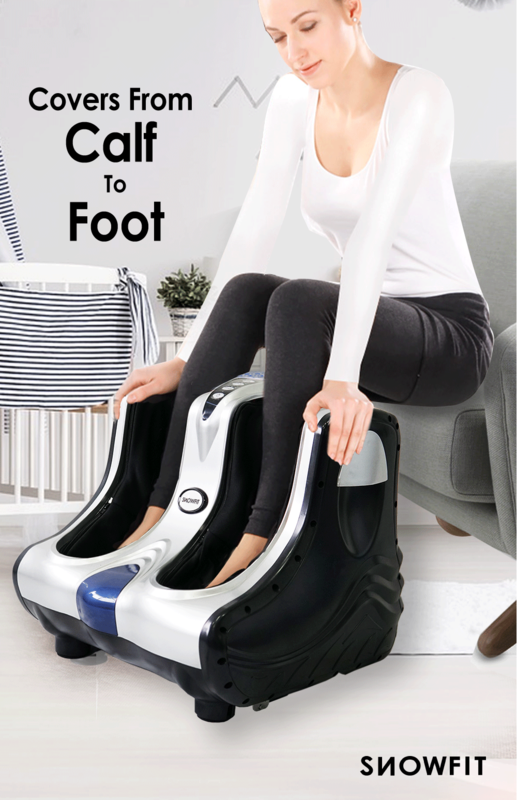 Stimulate your foot print, and bring your mental relaxation. 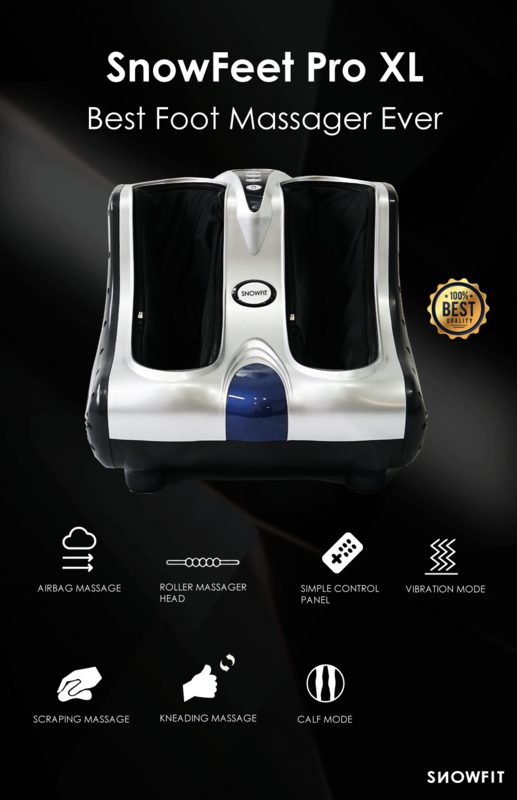 2 massage modes could be to your choice. 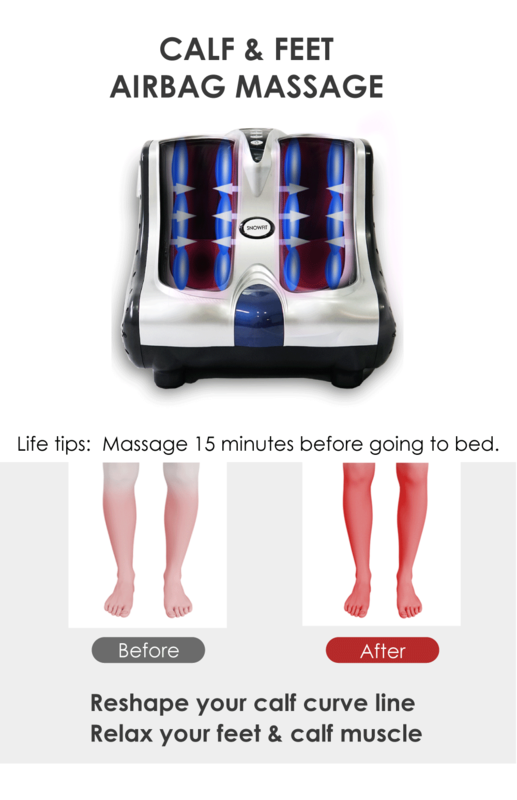 Perfect massage system will reshaping your calf curve line. Cycle control function will let the machine stop automatically after 15 minutes. Removable sleeves could be washed easily.